Located on the Gulf of Mexico, Fort Myers Beach is also known as Estero Island. Fort Myers Beach offers beautiful water, shopping & dining, boating, fishing and golf. 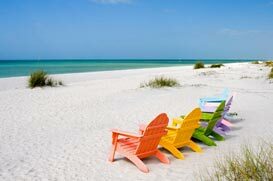 Fort Myers Beach is our areas most popular beach and vacation getaway.